We are nearly at the end of our summer holidays and all the shops have back to school items on sale. Uniforms, stationery and shoes. Shopping centres are packed with parents trying to get their kids kitted out for the beginning of the new term. This weekend I had little M who came to visit, she was telling me all about her new school she starts in September and that she has a nice new uniform to wear. She was really excited and showed me her new pencils and pens that her mum has bought for her. The August Bostik Box is also back to school themed this month so Little M and I looked through it to see what we could make. She wanted a pencil tidy pot so with the items in the box we made one. 3. Cut the fabric to the measured size, you should have a rectangle that looks like the picture below, showing you the fold lines. 3. Fold over and press down the extra 1 cm allowance at the top and bottom edges on the fold lines. 4. 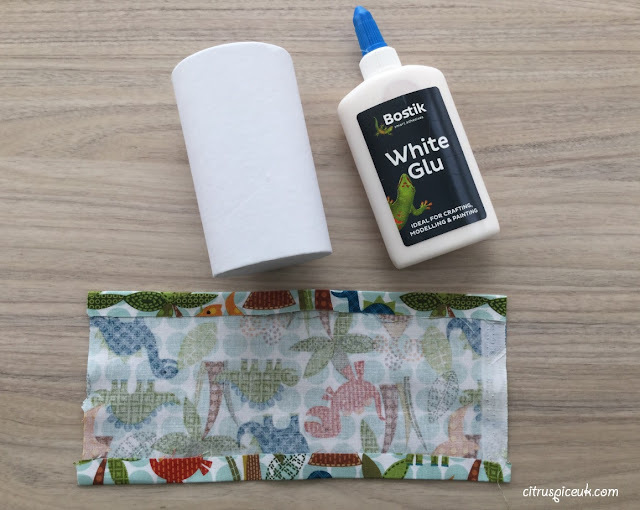 Spread the Bostik glue over the outside of the pot and wrap the fabric around the pot. 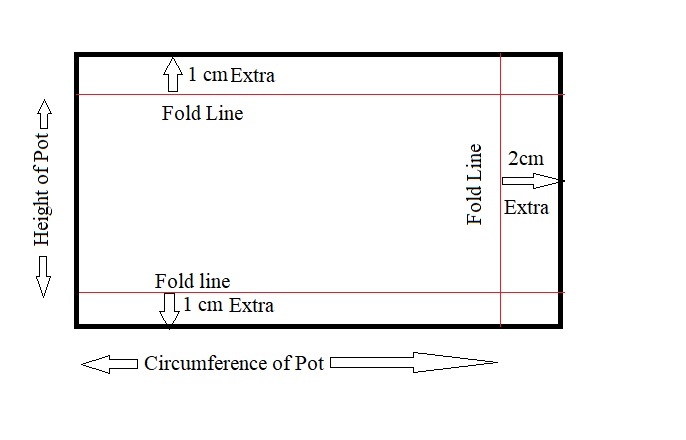 5.When you get to the extra 2cm of fabric allowed for overlap, fold it over on the fold line to neaten the edge and then stick it to the pot. 6. Leave to dry and the pencil pot is ready to use. If you wish, you can add other embellishments to decorate the pot to your choice. When you make something with a child it will always mean more to them than a shop bought item. And it will be unique! End of school summer holidays. I so need to get organised. The pen pot is great for my kids to make too. This looks like such a fun project to do with kids. My kiddos are a bit too young, but will try this out in a few months. My children love these kinds of crafts, they are excited about going back to school too! Oh I love this! What a fab idea, so simple but it looks great! We love dinosaurs, that print is fab! My daughter would love to make this, definitely something I can see us doing over the next week. I love the design on this. It looks like a well-finished quality product. How cute! Ohh I am looking forward to craft with my daughter! She is to young now and would just put everything in her mouth!😂 But the times goes so fast and soon enough it is her time to go to school! 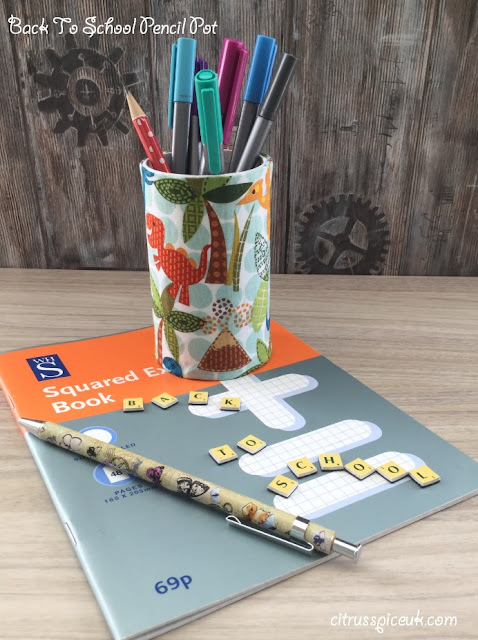 It looks like a great project to make to get your child excited about the start of a new school year. 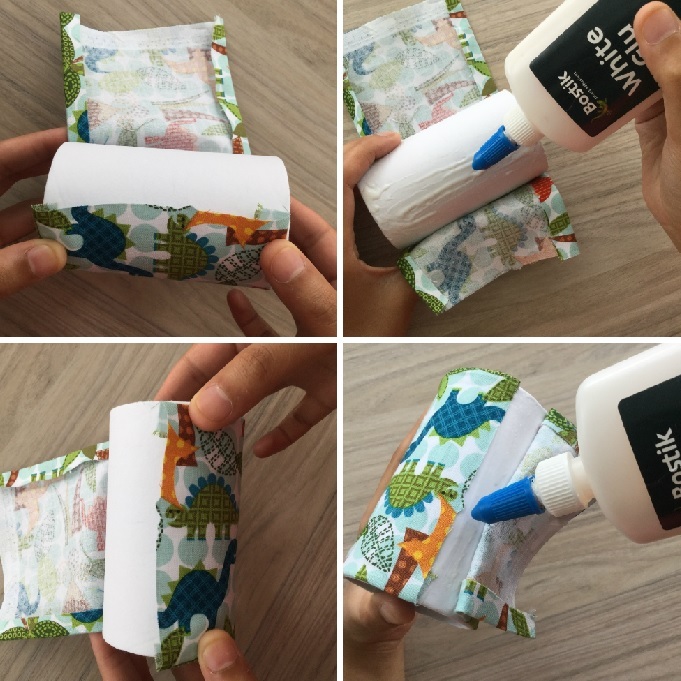 I dinosaurs print is really cute as well. Haha great idea to keep them busy before going back. I like how it's really easy to do this one. Wow such a cute and easy to make DIY project for kids. I always throw left over fabrics and now I know where to use them. This is such a great idea for back-to-school. would love to do this with my nephew! Ohh ho!! How cool it is. 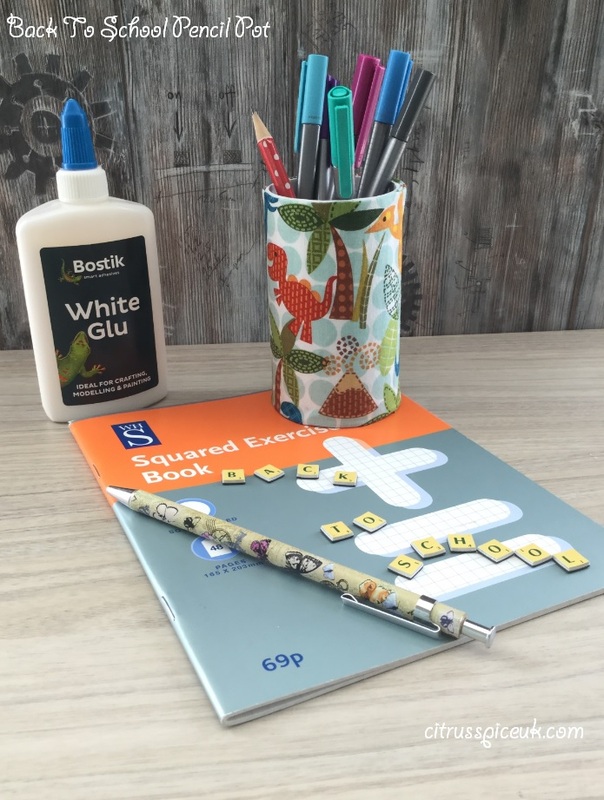 pencil pot and bostik crafts are impressive. Every kid loves to do such craft work. It increases their creativity. I have done this too last week and it is so much fun to make.I love your design by the way. Great idea! I love making things with my daughter, will try this soon. That's so simple and also looks great, a fab idea and this DIY worth a try. oh wow! i need a new pen pot for my desk and this is lovely! How very clever! Incredibly simple but effective :D This would certainly jazz up my work desk. will have to give it a try. What a charming and a fun idea and I love the idea that you helped. We adults sometimes need to stop and apply some fun in our lives with a little hands on project like making a pencil holder. What a brilliant craft! I'd quite like something like this myself on my desk. What a cute pencil pot! I'll share it with my niece and she is going to love it! I love easy crafts and you cannot get easier than that! I believe I have scrap material laying around, from when I did the pillows for my office chair and you gave me a good idea! Now my office will match! Thank you for sharing! I should totally do this with vegetable cans. I have just recycled them but this is a cute craft idea for it. Simple and easy to make but looks really pretty! I need to make a few of these to keep my kids' desks neat and organized. This would be PERFECT in my classroom! My kids are always asking for pencils and then it takes them a while to find one. I'm going to try my hand at making this so there are no more excuses! This is such a simple DIY but still looks very cool and it's certainly useful! 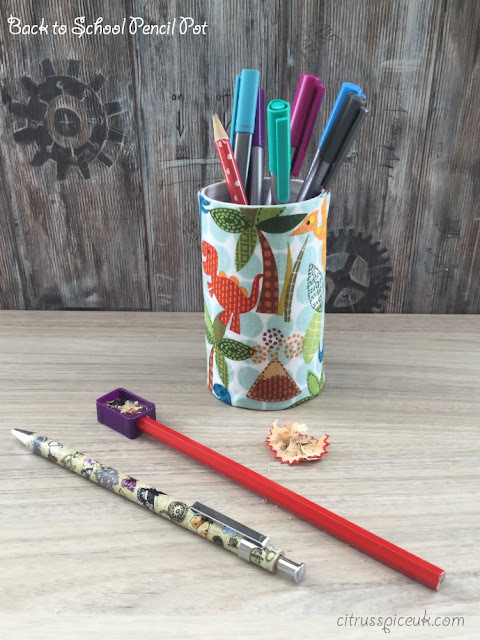 I've made some DIY pencil pots before but never with fabric, the one you chose is really pretty! What a great idea! When I was young I was always annoyed by my plain black pencil holder, wish I'd seen this back then! How creative is this, I would never thought of making something like this before. Wow, fantastic blog layout! How long havee you been blogging for? Thanks for this tip1 I like to do things with my hands and as I do home-staging the budgets are often pretty minimals and need to use my creativity so for a kids room or even for a study this kind of pencil pot would be a nice touch. Lovely DIY ideas for kids. This is a wonderful idea! I want to try this and make one for my office desk! And I can also do that for my plant glass pots! Such a cute pencil holder. Remember making those with my kids but with wrapping paper saved from gifts. Had to do that so they all three would not fight as to whose pencils, pens and rulers they were. Love the print on the fabric.